Listing the names and the prospective gifts you wish to give takes a lot of effort. 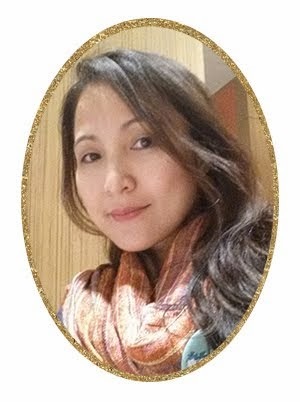 How many times have you given a shirt or a blouse to a friend only to find out that it was either too big or too small. A bag to an office mate - which she doesn't use possibly because of its color. A dress to a sister, which you don't see in her closet probably because she didn't like the style, thus she gave it away. Gift giving is an enjoyable act but very tricky in a way. Why not, for this year, give something that the receiver will truly like, like The Body Shop products. 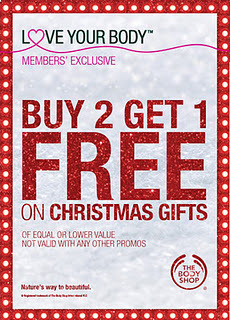 Save a lot from the general offer for all Body Shop customers with buy 3 get 1 promo. Better yet, be an exclusive member of Love Your Body (LYB) and get its fabulous buy 2 get 1 free promo. 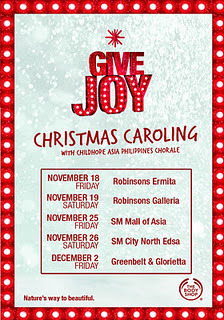 As you do your Body Shop shopping, take time out to listen to the voice of Child Hope Asia as they perform Christmas Caroling at select Body Shop outlets. 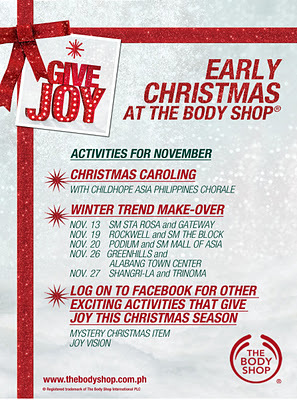 For those into make-up, be sure to sign up for Body Shop's Winter Trend Make-over. Sa totoo lang, Joy...Body Shop products ang madalas gifts ko for my kids' teachers :) Ganda pa ng gift packaging!!! 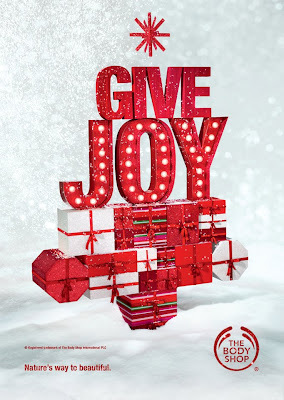 I've always been a big supporter of The Body Shop and love giving as well as receiving any of their products. I still use the Shower gel and Body butter (Olive oil) and the face powder. Everyone would love a TBS indulgence! well kakaubos lng ng body shop perfume ko, how I wish mka receive naman me this Christmas,I'm a body shop user tlga most things i bought from there store are make-up.